Masks are such an interesting skincare step. I can go a couple of months without using one, then I remember them and boom!, instant complexion boost! They can help with anti-aging, acne, large pores, texture — so many issues can be helped in just a few minutes! This fall, L’OCCITANE is pleased to introduce the NEW! Divine Cream Mask ($145 USD) — a cream-based mask with a rich, melting texture, accompanied by a special 24K gold-plated massage applicator. When the mask is used in tandem with the applicator, it is better absorbed into skin for firmer, smoother and more luminous results. The key ingredients are Immortelle organic essential oil, Shea Butter and Cistus which is formulated with a high concentration of aromatic molecules. I like to apply this mask at night. By the next morning, my skin is so glowy! I am excited to use this twice a week with my regular skincare regimen. Masque Bar by Look Beauty, Pore Refining Creme Mask — ($9.99 for a pack of 3) — Minimizes the appearance of pores for a more refined looking complexion. A gentle blend of Coenzyme 10 and anti-oxidants helps prevent trouble for all types. It leaves skin feeling balanced and looking more radiant and contains: Raspberry Extract, Lemon Fruit Extract, Vitamin E.
What I think: This mask smells delicious and it is really fun to smooth all over the face! After 15 minutes, I rinse it off and my face was smooth and glowed. My pores did look a bit smaller and it didn’t irritate my skin, which is a plus! 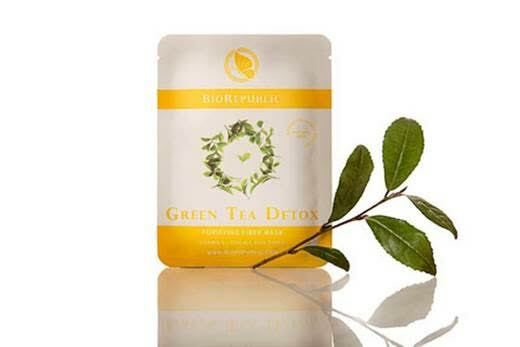 BioRepublic Green Tea Detox Purifying Sheet Mask ($4.99; $14.95/Set of 3) — A purifying fiber mask loaded with natural green tea extract and vitamin E. Gently unfold the mask and apply on clean skin. Wear for 15-20 minutes or until dry. Remove mask and lightly tap excess product into skin, no rinsing required. For best results, use 2-3 times a week. What I think: I don’t have a lot of blemishes, but my skin has felt a bit clogged lately with all of the sunscreen and makeup I have worn this summer. So I applied this mask and left it on for about 10 minutes, because I do have sensitive skin. After use, my skin looked so clean and smooth. This is something that I can use once a week to keep my skin clear. 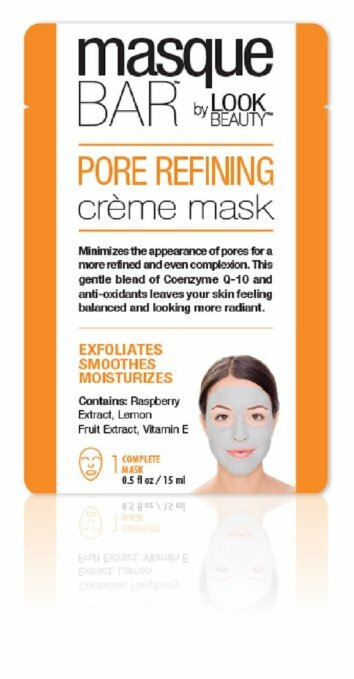 Do you use a mask regularly or like to try new masks? Leave a comment and let me know!